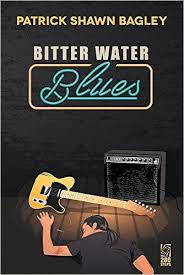 I just re-read Bitter Water Blues, written by Patrick Shawn Bagley and republished by 280 Steps. I am pleased to say it held up nicely to a second reading. Bitter Water Blues is proof that Bagley has a wonderful career ahead of him as a noir writer and is sure to pen noir tales that will be deemed as “must reads” by lovers of noir, and dare I say, all lovers of great books. Bagley has created a great cast of characters within this book. They come to life as the story evolves and he really fleshes them out and allows the reader to become attached to them. Their motivations are well explained and that lets the reader understand them and become connect the story.